Most travelers search for suitable recommendations when planning a holiday. Did you look for recommendations for your last private booking? What if you could increase conversions on your own website with personalised recommendations for every user, based on your specific inventory? AI driven recommendations can greatly increase the likelihood of booking as well as the revenue of these bookings. 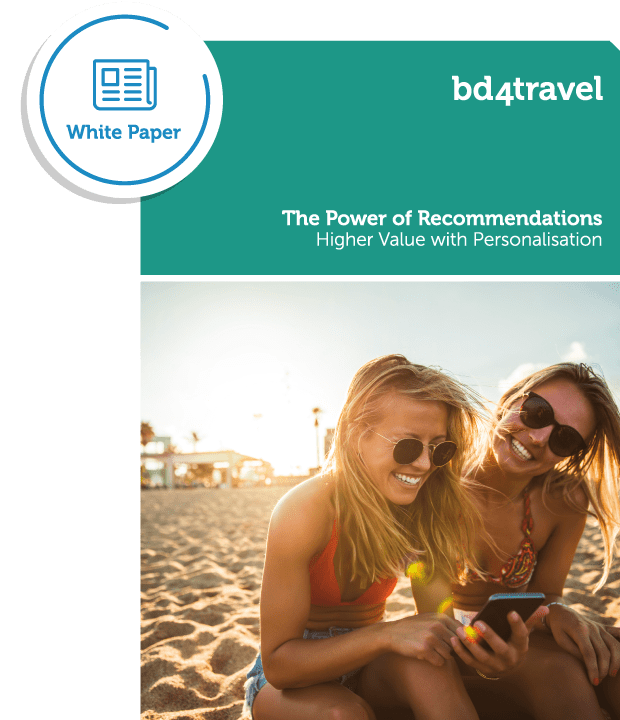 Discover the Power of Recommendations in our corresponding whitepaper.